A record, cassette and CD manufacturing facility that operated in Pitman, New Jersey from 1961 until 2011. Designed by Minoru Yamasaki on a 72-acre site, CBS Inc. (Columbia) officially opened the plant on May 17, 1961 as a high capacity record production facility operated on two shifts by staff of 300 employees managed by Joe Massimino (although the facility actually began limited operations on Oct. 29, 1960, per the booklet that came with The Pitman Family Of Music: Our First 20-Years). In the fall of 1986, CBS Inc. announced that it would convert the plant to compact disc manufacturing by 1988 and would reach an annual production goal of 20 million units while consolidating its US vinyl record manufacturing business to the Columbia Records Pressing Plant, Carrollton, GA facility. In 1988, it became part of the Sony Corporation when Sony acquired CBS Inc.'s music business, which ultimately realigned it as a part of the Sony DADC network. During this time it grew into a 500,000 square foot complex with a purported average monthly output of 18 million CDs. DADC, Pitman is the preferred entity for CDs produced by this plant. Sony DADC closed the facility in early 2011 and migrated the CD manufacturing operations to the [Invalid Label] facility. At the time of the Pitman plant's closure, its average daily output had decreased to 16,000 CDs. -On Capitol Records contract pressings, the number 54 in the runout and a large sized pressing ring on the labels. It should be noted that, in some cases, locating the plant identifier "P" can be challenging. A good magnification tool is recommended for this task, as the stamping can be very faint sometimes. The "P" is often inverted at an angle so that it may seem like a "d" when viewed from the disc edge. an inch before it, or directly after it. Many unusual configurations also exist, so check carefully. Pitman identification is one of the most commonly overlooked in the DB. 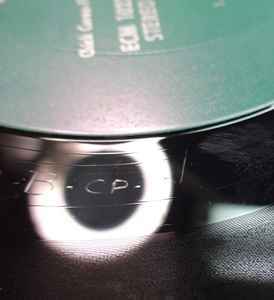 On CDs (1989 or later): Pressed By - DADC, Pitman can be added based on the presence of a "CMU P nn" (or "CMU P nnn") mould stamp in large font on inner plastic ring, readable from label side, or "P nn" (or "P nnn" or Pn) in small font near the hole. (nn or nnn or n may be any number.) These codes should be added as Other Identifiers, but not Catalog Numbers, because they are not unique. Don't credit this plant if there is no "P" on the hub. Note: After Sony's acquisition the plant was converted to CD manufacturing only, to make more CDs for CBS (now fully owned by Sony). Due to the use of Code 39 matrix barcodes, the discs look very similar to WEA Mfg discs, but the matrix font is Sony's and the plastic hub has the "P" stamps described above. These different looking discs continued until about 1996, when Sony apparently replaced the lines with the same ones as other DADC plants. Discs made after this changeover are difficult to distinguish from those of other DADC plants. Customatrix, a division of CBS Inc.'s Columbia vinyl record manufacturing operations, handled the making of metal parts (e.g. mothers, stampers) for many pressings by Columbia's plants, including those used at the Pitman facility. However, parts from other companies, such as Longwear Plating were also used. -Pitman pressings on PolyGram labels (such as Mercury, Polydor, RSO and Casablanca) from 1979-80 were indicated by a '56' code on the label. -ECM product (ECM Records) was pressed by Columbia Pitman plant only in the period when Polydor distributed that label. -K-Tel - indicated by a '16' code on the label. B = Electrosound Group Midwest, Inc.